I'm feeling like Alice in my own little Wonderland these days. 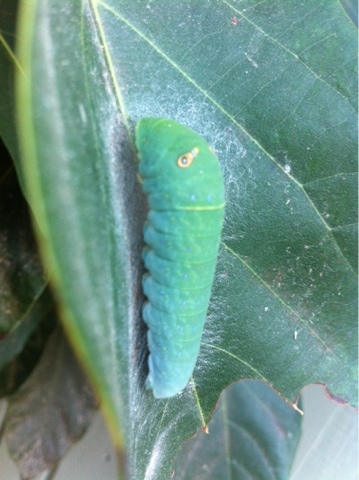 Found this little fella on the avocado tree in our yard this evening. I do believe he's considering cocooning.